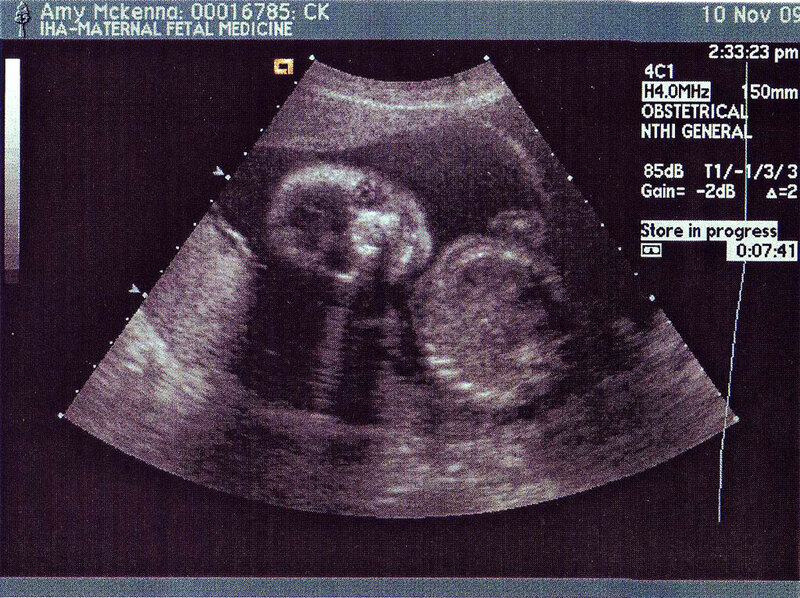 I'm 22 weeks along with baby #3, and we recently found out it's a BOY! 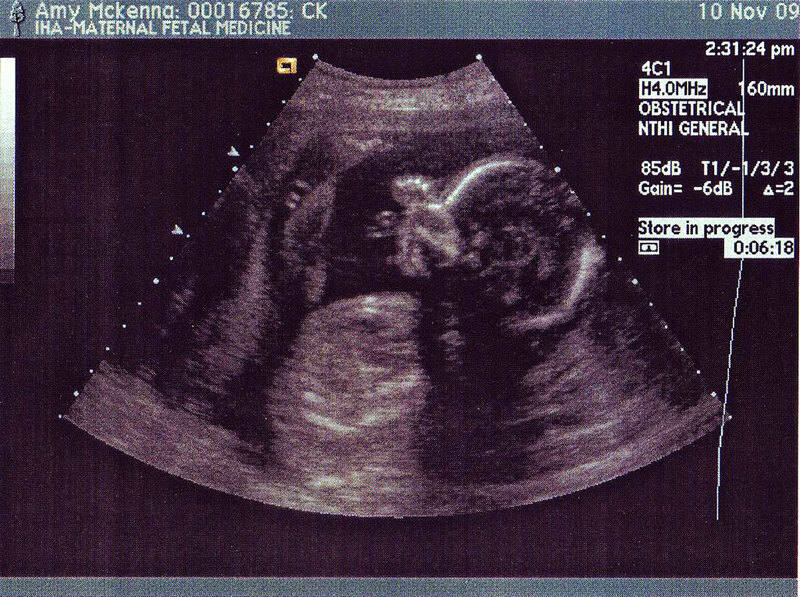 So come March, we'll be upping our household ratio of females:males to 3:2. 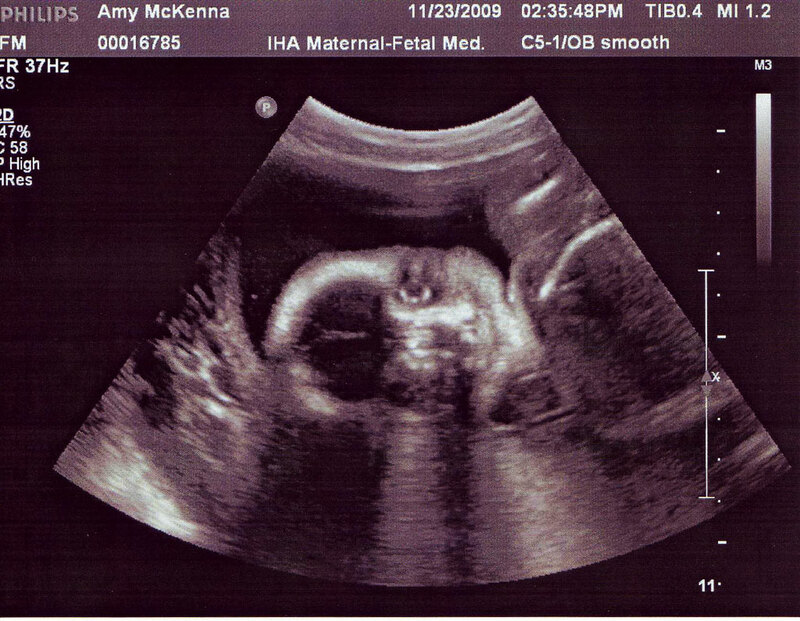 Sophia and Cassidy are very excited that they will be getting a little brother. Many of Sophia's girlfriends have baby brothers, so she'll finally be in that club. 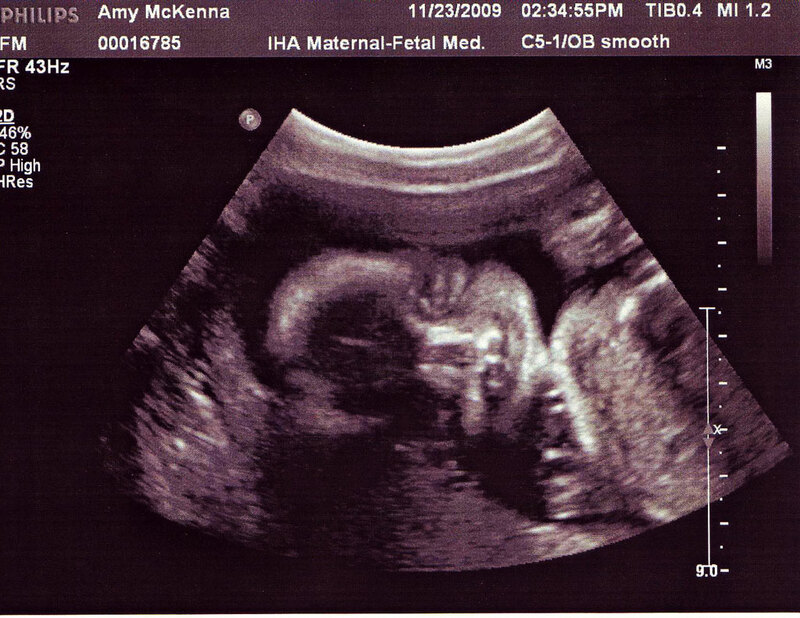 And I think Cassidy might have an easier adjustment since she won't be losing her little sister status; she'll still be the youngest girl in the family. 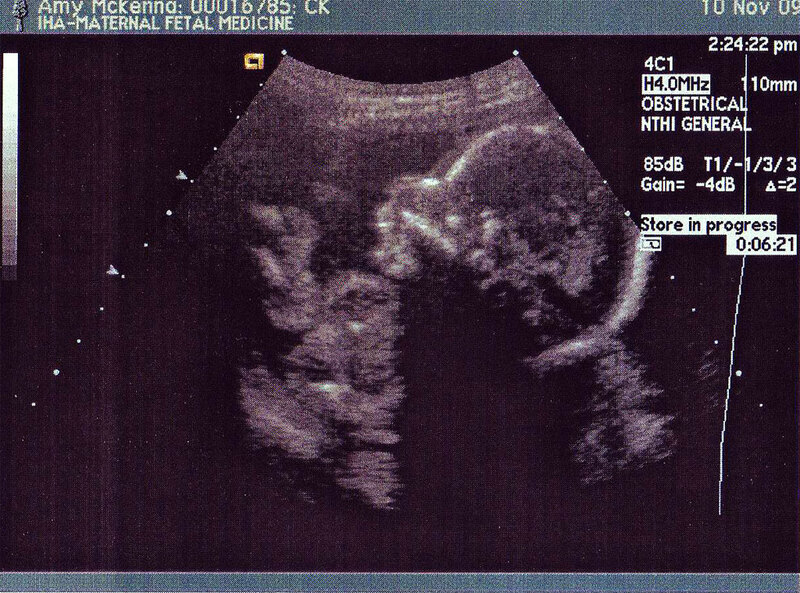 Here are a few ultrasound photos of our boy. 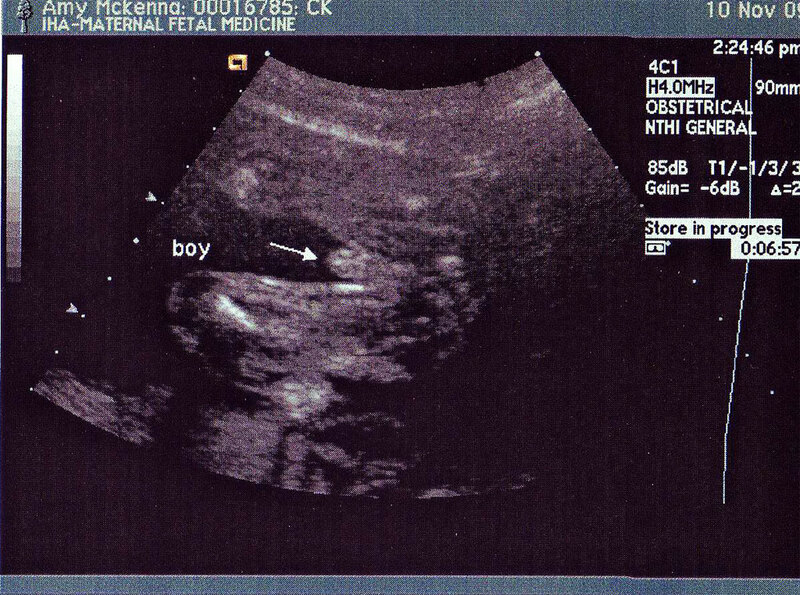 The "boy -->" photo was one of the first images we saw during the ultrasound. I was surprised by how obvious it was!